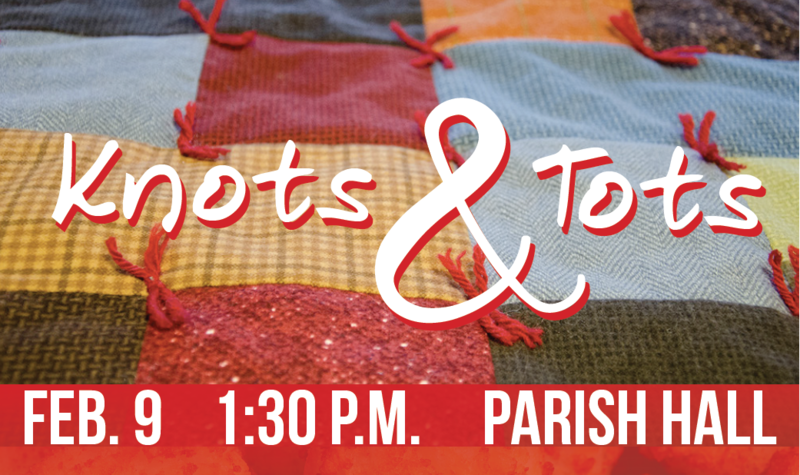 Y’ALL (Young Adult Lutheran Leauge) are hosting a "Knots and Tots" event for all interested church members to benefit the children at The Monroe Carrell Jr. Children’s Hospital at Vanderbilt University. Background Information: Every Tuesday night Vanderbilt provides a movie night for the kids and the goal is to give 40 kits (children's quilt and teddy bear) for one of these nights. The event is being planned by Kristin and Andrew Gipner to honor Emma's one year "releas-a-versary" from the hospital. The Comforter's have graciously agreed to sew the 40 quilts , however they need our help knotting the layers together! So come out, tie some knots, and we’ll wrap the afternoon up with a tasty treat in the form of a tater tot bar!